Chantel Jennings talks to incoming offensive guard David Dawson. Michigan had excellent representation in last year's Super Bowl, but this year, the Maize and Blue presence will be felt more strongly on the sidelines than on the football field. 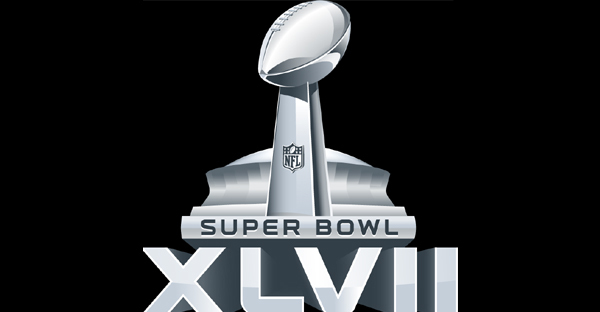 Four former Michigan athletes will take part in Super Bowl XLVII, which will be played between the San Francisco 49ers and the Baltimore Ravens on February 3, but only one will be playing in the game. Jonathan Goodwin (1999-2002) is the starting center for one of the league's top offensive lines and a team that is coached by former Michigan player and graduate assistant, Jim Harbaugh (5,449 passing yards and 31 touchdowns from '83-'86). Of course, WR Mario Manningham (137 receptions for 2,310 yards and 35 touchdowns from '05-'07) is also a 49er and has a shot at a second straight Super Bowl ring, but he won't play in the game due to a torn ACL that was suffered late in the season. On the other side of the ball, Andy Moeller (linebacker from '83-'86 and TE, OT and OL coach from '00 - '07) coaches the offensive line for the Baltimore Ravens. Their defensive backs coach Teryl Austin also coached at Michigan as a defensive assistant from 1999 - 2002, although he never played for the Wolverines. Tom VanHaaren talks to incoming center Patrick Kugler. Projection: Left guard. Cole is a very good athlete and moves well for a guy his size, but he doesn't have the ideal size and wingspan to remain at tackle on the next level. He could be a pulling guard in a system like Michigan's, or he's agile enough to play in a zone scheme. I might even look at him at center if I were running zone, but he's too athletic to waste that agility snapping the ball in a pro-style system. He doesn't have the frame to ever be a huge road grader on the offensive line, but he will pull well, pass protect well, and be effective when moving to the second level. He has the makings of a high-level BCS starter. Here are Cole's highlights on Hudl. Stewart Mandel over at Sports Illustrated has taken notice of Michigan's stellar recruiting class. Denzel Ward, a 2014 offensive tackle out of Chicago (IL) Hales Franciscan, is no longer a part of Michigan's recruiting class. The 6'9", 285-pounder committed to Michigan shortly after receiving an offer last year, but things have changed since then. He was offered by Florida and decided to take a visit there, a move the coaches don't like. But he also transferred to IMG Academy in Florida, which is a school specifically geared toward athletes who want to develop and train for the next level. The problem with the transfer is that he reportedly didn't even think to tell the coaches that he was moving from Illinois to Florida. It's unclear whether the coaches will continue to recruit him, but it appears that the staff decided that he should no longer be considered a commit. Here's my commitment post on Ward from October. I have to say that he was nearly going to commit to Purdue until he got the Michigan offer, and then he immediately jumped on the offer from the Wolverines. He seemed to be making a hasty decision at the time, and in retrospect . . . it still appears to have been a hasty decision. There's still plenty of time for Michigan to replace Ward in the class, but most of the offered recruits with an eye on Michigan look like guard prospects rather than tackles. Some new offers will likely have to be sent out to get a tackle to take his place, but Michigan might be able to reel in someone like Andy Bauer, Damian Prince, or Braden Smith. 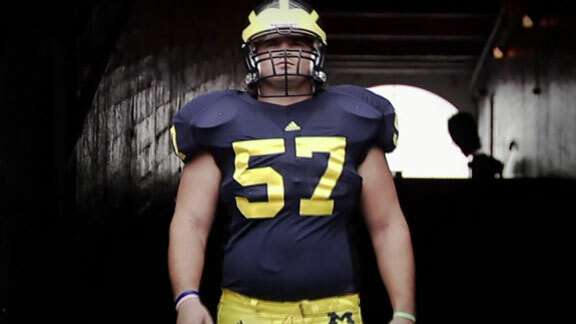 Despite being the son of a former Wolverine, Jordan Kovacs was not recruited out of high school. His father, Lou, was a 5'10", 195 lb. safety for Bo Schembechler in 1982. Jordan played at Curtice (OH) Clay and was an all-district defensive back as a junior, then an all-district wide receiver as a senior; he was an All-Toledo defensive back both seasons. He enrolled at Michigan as a student in 2008. Kovacs tried out for the team as a true freshman, but a knee injury from high school forced Michigan's coaches and doctors to tell him to come back in a year after he got his knee fixed. He came back to tryouts in 2009 and earned his way onto the team. Injuries at the safety position helped him get on the field against Notre Dame, and he earned his first start two games later against Notre Dame. He finished the season with 75 tackles, 4.5 tackles for loss, 1 interception, and 2 forced fumbles. His starting job was solidified by 2010, when he earned All-Big Ten Honorable Mention on a horrible defense - he finished that year with 116 tackles, 8.5 tackles for loss, 1 sack, 2 interceptions, 1 forced fumble, 1 fumble recovery, and 1 pass breakup. He earned the same honor again in 2011 with 75 tackles, 8 tackles for loss, 4 sacks, 1 interception, 2 forced fumbles, 1 fumble recovery, and 1 pass breakup. As a team captain in 2012, he had 68 tackles, 5 tackles for loss, 2 sacks, 1 interception, 1 forced fumble, and 2 pass breakups. I remember watching the Notre Dame game in 2009 and seeing #32 on the field, thinking, "Uh-oh. This team is in dire straits at the safety position." And while that was technically true - of not only safety, but most defensive positions during the Rich Rodriguez era - Kovacs slowly started to earn my trust. His 116 tackles in 2010 was not only a ridiculous accomplishment, but it was indicative of poor defensive play in front of him. However, lots of safeties wouldn't have been the sure tackler that Kovacs was, and he prevented that monumentally porous defense from being even worse. He was almost always in the right place. Despite a lack of elite athleticism, defensive coordinator Greg Mattison's arrival in 2011 helped to use Kovacs in an optimal way - blitzing him off the edge and using him almost like a fourth linebacker. His 334 tackles place him fifth on Michigan's all-time list, but perhaps the more impressive ranking is his place at #13 in tackles for loss at Michigan. That places him above such players as Mike Martin, Sam Sword, Rob Renes, and Carl Diggs.
. . . his sure tackling. While his coaches and game film might tell a different story, I wouldn't even need a full hand to count the number of missed tackles I saw Kovacs make in his four years as a starter. There were plays he could have chased down if he were a bit faster, but if you were one-on-one with Kovacs in open space, you were going to lose 98.39% of the time. I don't foresee Kovacs getting drafted because of a lack of measurables (he's not very big, and he's not extremely fast), but I think he'll get quite a bit of interest as an undrafted free agent. I've seen former Wisconsin safety Jim Leonhard whittle out an 8-year NFL career without much size or speed, so as long as Kovacs get a chance with the right team(s), I see no reason why he can't go play some special teams and be a backup safety somewhere. Chantel Jennings talks to incoming defensive back Delano Hill. Richmond (VA) Hermitage running back Derrick Green committed to Michigan. Louisville (KY) Trinity defensive end Jason Hatcher decommitted from USC. Hatcher is not considering Michigan, but he is now open to Louisville (where his teammate James Quick is committed) or Kentucky, the new head coaching home of former Florida State defensive coordinator Mark Stoops. Cleveland (OH) Glenville safety Erick Smith was offered by Michigan. Smith is a 6'1", 185 lb. prospect with offers from Georgia Tech, Louisville, Ohio State, and West Virginia, among others. 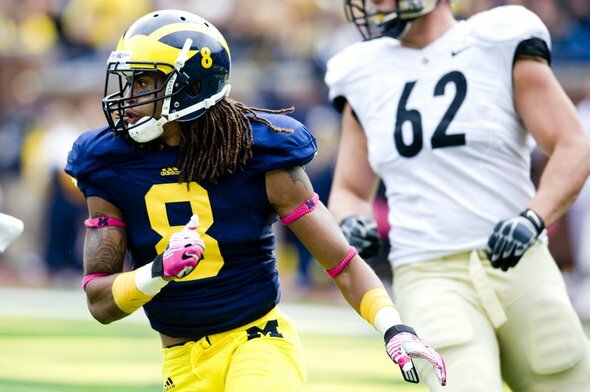 Michigan has also offered his teammate, wide receiver Marshon Lattimore. Like a lot of Glenville products, Ohio State seems to be the leader. Detroit (MI) Cass Tech defensive tackle Joshua Alabi was offered by Michigan. The 6'5", 245-pounder doesn't hold any other offers. He doesn't get off the ball very well defensively, but the athleticism is apparent. He moves like a future left tackle, but I'm not sure he'll have the height and length to play that position; if he can get more aggressive, he's the type of athlete you would want at strongside end or 3-tech defensive tackle. Alabi has visited Michigan a couple times, including for last season's Michigan State game. He played defensive end, defensive tackle, and offensive tackle for Cass Tech, and is the teammate of 2013 commits David Dawson, Delano Hill, and Jourdan Lewis. Detroit (MI) Cass Tech running back Mikey Weber was offered by Michigan. The 5'10", 195 lb. running back also has offers from Illinois and Syracuse. As a sophomore in 2012, he had 1,700 yards rushing and 21 touchdowns. Weber's body type looks a lot like Fitzgerald Toussaint's, but Weber's more of a slasher and doesn't show the same kind of lateral movement. Phoenix (AZ) Brophy Prep wide receiver Devon Allen committed to Oregon. Allen flirted with lots of teams out west, and even seriously considered Michigan and Notre Dame for a while. But he always coveted an Oregon offer, which came recently, and the choice seemed to be pretty easy at that point. Avon (IN) Avon defensive end Elijah Daniel committed to Ole Miss. Daniel had previously been committed to Clemson along with the consensus #1 defensive end nationally, Robert Nkemdiche. Now that Nkemdiche appears to be headed for Oxford sooner or later, Daniel seems destined to be a Rebel, too. Hamilton (GA) Harris County defensive tackle Jay Ellison committed to Georgia Southern. That's an odd development for a player who listed offers from Auburn, Georgia Tech, Michigan State, South Carolina, and Tennessee. Santa Monica (CA) Santa Monica wide receiver Sebastian Larue committed to Texas A&M. After decommitting from USC in recent weeks, Larue flirted with the idea of visiting Michigan. He is now one of about eight wide receivers committed to the Aggies. Belton (TX) Belton tight end Durham Smythe committed to Notre Dame. Smythe had previously been committed to Texas, but since he decommitted, it has mostly been a race between the Fighting Irish and Stanford. He was originally scheduled to take a visit to Michigan this past weekend, but he rescheduled in order to visit South Bend with a bunch of other visitors. Now it looks like next weekend's visit to Ann Arbor won't happen after all. Euless (TX) Trinity defensive end Gaius Vaenuku committed to Utah. The 6'6", 260-pounder pickes the Utes over offers from Arizona, Arizona State, Missouri, Oklahoma State, TCU, Texas Tech, and UCLA. Tempe (AZ) Marcos De Niza cornerback Priest Willis committed to UCLA. Michigan was never strongly in the running. The Wolverines were recruiting him as a cornerback, but most teams project him to safety. There were some rumors that Saginaw (MI) Heritage wide receiver Brian Cole, a 2015 prospect, was offered by Michigan. However, that is not a solid offer, and he was apparently told he'll have to wait until his junior year for an offer. Vincent Smith will forever be a part of the Jadeveon Clowney highlight reel, and here ESPN talked to Smith about the hit. Is this what we should expect from Derrick Green? Recruiting is an inexact science, and we have no idea what we'll get in the coming years from Derrick Green (commitment post). But Rivals is generally considered to be the best recruiting site for predicting future success, so I thought I would take a look back at their top tailbacks over the last decade or so. Rivals: Ciatrick Fason, Florida - In three seasons at Florida, Fason had 315 carries for 1,877 yards (6.0 yards/carry) and 14 touchdowns. Fason was drafted in the fourth round (#112 overall) by the Minnesota Vikings in 2005, for whom he played two seasons. He had 50 career carries for 161 yards (3.2 yards/carry) and 5 touchdowns. Rivals: Reggie Bush, USC - In three seasons at USC, Bush had 433 career carries for 3,169 yards (7.3 yards/carry) and 25 touchdowns, along with 95 career receptions for 1,301 yards and 13 touchdowns. He won the Heisman Trophy in 2005. He was the #2 overall pick by the New Orleans Saints in 2006. In five seasons with the Saints and two with the Miami Dolphins, he has 967 carries for 4,162 yards (4.3 yards/carry) and 29 touchdowns. He also has 372 receptions for 2,730 yards and 15 touchdowns. Rivals: Adrian Peterson, Oklahoma - In three seasons at Oklahoma, Peterson had 747 carries for 4,045 yards (5.4 yards/carry) and 41 touchdowns. Peterson was the #7 overall pick by the Vikings in 2007. In six seasons with the Vikings, he has 1,754 carries for 8,849 yards (5.0 yards/carry) and 76 touchdowns. He had the second-best season rushing total in NFL history this past season with 2,097 yards. Rivals: Jonathan Stewart, Oregon - In three seasons at Oregon, Stewart had 516 carries for 2,891 yards (5.6 yards/carry) and 27 touchdowns. Stewart was the #13 overall pick by the Carolina Panthers in 2008. In five seasons with the Panthers, he has 818 carries for 3,836 yards (4.7 yards/carry) and 27 touchdowns. Rivals: Chris Wells, Ohio State - In three seasons at Ohio State, Wells had 585 carries for 3,382 yards (5.8 yards/carry) and 30 touchdowns. 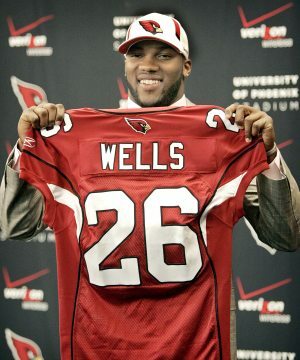 Wells was the #31 overall pick by the Arizona Cardinals in 2009. In four seasons with the Cardinals, he has 625 carries for 2,471 yards (4.0 yards/carry) and 24 touchdowns. Rivals: Joe McKnight, USC - In three seasons at USC, McKnight had 347 carries for 2,213 yards (6.2 yards/carry) and 13 touchdowns. McKnight was drafted in the fourth round (#112 overall) by the New York Jets in 2010. In three seasons with the Jets, he has 112 carries for 502 yards (4.5 yards/carry) and 17 catches for 177 yards; he has also averaged 29.0 yards per kickoff return with 2 return touchdowns. Rivals: Darrell Scott, Colorado - Scott spend his freshman and sophomore seasons at Colorado before transferring to South Florida. Altogether, he had 263 carries for 1,252 yards (4.8 yards/carry) and 6 touchdowns. He was undrafted and has not played in the NFL. Rivals: Bryce Brown, Tennessee - Brown spent his freshman year at Tennessee before transferring to Kansas State; in his freshman and redshirt sophomore seasons, he totaled 104 carries for 476 yards (4.6 yards/carry) and 3 touchdowns. Brown was drafted in the seventh round (#229 overall) by the Philadelphia Eagles in 2012. As a rookie he had 115 carries for 564 yards (4.9 yards/carry) and 4 touchdowns. Rivals: Marcus Lattimore, South Carolina - In three seasons at South Carolina, Lattimore had 555 carries for 2,675 yards (4.8 yards/carry) and 38 touchdowns. He will skip his senior season to enter the 2013 NFL Draft. Rivals: Malcolm Brown, Texas - In two seasons at Texas, Brown has 233 carries for 1,066 yards (4.6 yards/carry) and 9 touchdowns. Rivals: Johnathan Gray, Texas - In one season at Texas, Gray has 149 carries for 701 yards (4.7 yards/carry) and 3 touchdowns. Where would that career rank among former Michigan players? The 429 carries would put him at #22 in Michigan history, behind Rick Rogers and ahead of Chris Howard. The 2,442 yards would put him at #17, behind Ron Johnson and ahead of Ed Shuttlesworth. The 22 touchdowns would place him at #18, behind Lawrence Ricks/Tshimanga Biakabutuka and ahead of Brandon Minor. Of players with at least 100 career carries, that 5.7 yards/carry would tie him at #7 behind Jon Vaughn, Denard Robinson, Kerry Smith, Tyrone Wheatley, Biakabutuka, and Rob Lytle. Based on Michigan's offensive system and Green's skill set, if you're looking for a comparison to another former #1 tailback, I think the best replica would be Ohio State's Chris "Beanie" Wells. William Campbell's college performance disappointed some who expected big things from the former 5-star, but he's trying to work his way up the NFL Draft rankings by playing in the Shrine Bowl. EDIT: This was supposed to be posted over a week ago. Oh well. Richmond (VA) Hermitage running back Derrick Green committed to Michigan on Saturday. He chose the Wolverines over offers from just about everyone in the country, and the other two finalists were Auburn and Tennessee. Green is 6'0" and 220 lbs. As a senior in 2012, he had 185 carries for 1,285 yards and 20 touchdowns. As a junior, he had 1,493 yards and 20 touchdowns. In his sophomore season, he had 800 yards and 10 touchdowns. He claims a 4.58 forty. Green was offered last February when Michigan went on a spree of offering running backs. At the beginning of his recruitment, Michigan did not seem to be a serious option. He was considering a long list of places, most of them down south; other than Ohio State in the north, he was looking at Alabama, Auburn, Clemson, Tennessee, Virginia Tech, and a few other places. The longer Green's recruitment lasted, however, things started to fall into place for Michigan. He always maintained a desire to play in a pro-style offense, and the hiring of Gus Malzahn at Auburn and Butch Jones at Tennessee didn't really align with Green's desires. He also wanted a chance to play early, and with no established starter at Michigan (incumbent Fitzgerald Toussaint is coming off a nasty leg injury and has just one year left), the opportunity will be there immediately. I have had my eye on Green for a long time. Aside from watching his highlights, I had a chance to see him in person last May in a 7-on-7 tournament. I put together a scouting report on him prior to his senior season, and that interpretation largely holds true still, but I will say that his senior highlights showed significant improvement. One of the things that I may have underestimated was the fact that Green was 260-270 lbs. early in high school and decided to shed the weight in order to play running back. I think losing that weight and increasing his agility may have been - or may be - a long process that wasn't completed by his junior year. He's a lot shiftier in his senior highlights and seems to have a better understanding of how to make people miss. Green is still a north-south runner and won't ever be Barry Sanders, but there's a little more lightning to his thunder now. While I don't think Derrick Green is the best running back in the country like Rivals and Scout do, I think he's one of the top three to five backs in the nation. 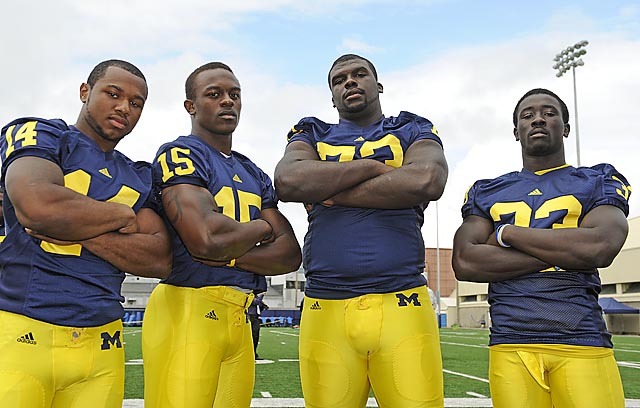 With the offensive line Michigan is building in the 2012 and 2013 classes, he should have plenty of room to run. A 6'0", 220 lb. running back with his acceleration should be able to wear down second- and third-level defenders, making it quite a grind for opposing defenses. Depending on how quickly Toussaint heals from his leg injury, Green could very well be the starting running back for the Wolverines on opening day 2013. In my opinion, he is already better than the other running backs on the roster, save perhaps a healthy Toussaint; and I also think Green is superior to fellow 2013 commits Deveon Smith and Wyatt Shallman. 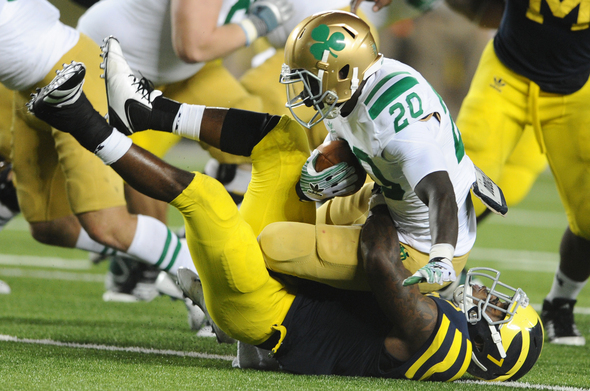 Green is Michigan's 27th commitment in the 2013 class and the third running back. The Wolverines may be done recruiting in this class, but I expect that we'll see another scholarship offer or two here in the last couple weeks to try to sway a player already committed elsewhere, somewhat like what happened with Dennis Norfleet last year. This guy led the team in sacks. Nobody else probably cares, but this is one of the things I enjoy most about the post-season: looking back and seeing how many things I got right or wrong. Actual: Devin Funchess. Funchess didn't light the world on fire, but he showed flashes of what he can do if Michigan can get him the ball in the coming years. Rawls didn't show much elusiveness or much power. Actual: Quinton Washington. Washington went from a bit of an afterthought to a viable Big Ten nose tackle. While he didn't put up great numbers (32 tackles, 3 tackles for loss, 1 sack), he took up blockers in the middle of the line and didn't get blown off the ball. Actual: Fitzgerald Toussaint. Robinson was disappointing and then left the team, so he was clearly a disappointment. But the starting running back, who averaged 5.6 yards/carry in 2011, dropped all the way to 4.0 yards/carry this season. Actual: J.T. Floyd. Floyd didn't make a single interception this season and got himself suspended for the Outback Bowl. Out of 23 predictions, I got 12.5 right. I'm like Nostradamus or something. This is partly about the Cleveland Browns, but mostly I post it here because it reveals something I didn't previously know about Michigan center Jack Miller's family. I highly recommend clicking through. 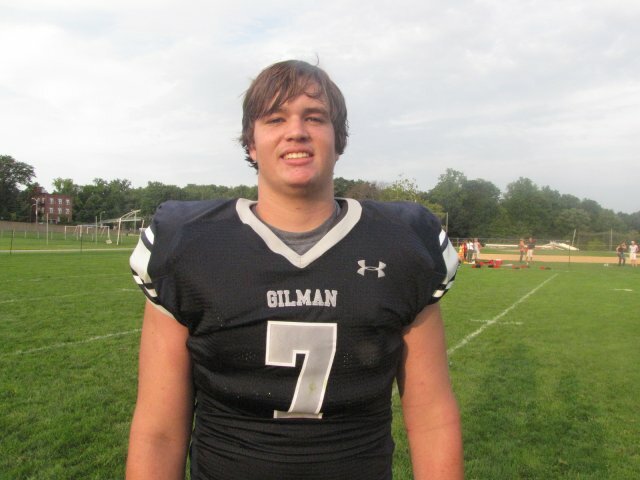 Grand Rapids (MI) Christian offensive lineman Tommy Doles will be visiting Michigan tomorrow. The 6'5", 255 lb. lineman holds two offers, one from Michigan and one from Iowa State. Doles would likely play center or perhaps guard at the next level. His teammate is wide receiver Drake Harris, a highly touted recruit who has pulled in offers from Alabama and Ohio State recently; however, there's been no indication that Harris will join Doles on this trip. Southfield (MI) Southfield defensive end Lawrence Marshall visited Ann Arbor for the basketball game against Purdue last night. Along with a Michigan offer, the 6'4", 205-pounder has offers from Michigan State, Ohio State, Pitt, San Diego State, and Syracuse. He hasn't talked about his recruitment a ton, but Michigan is presumed to be his leader. Richmond (VA) Hermitage running back Derrick Green will be announcing his college decision at 4:00 p.m. tomorrow. Michigan has been his stated leader, and it sounds like Tennessee is running second with Auburn third. Green appears to be looking for a stable coaching staff; with Brady Hoke appearing to be in it for the long haul and running backs coach Fred Jackson entering his 22nd year with the program, Michigan looks pretty stable. Both Auburn and Tennessee replaced their coaches this offseason. Green has also stated that he wants to play in a pro-style offense, which neither of those schools offer. However, the major hangup for Green seems to be that he thinks the SEC will prepare him better for the NFL. The Big Ten has not produced elite running backs in recent years, and Green has always maintained that he wants to play at the next level. If he chooses Michigan, he'll be choosing a school that hasn't churned out a productive NFL back since Anthony Thomas, whose last college season was 2000. In approximately that same span, Tennessee has produced Travis Henry, Jamal Lewis, and Arian Foster; Auburn has the success stories of Ronnie Brown, Cadillac Williams, and even Ben Tate, who rushed for 942 yards as Foster's backup in 2011. I have no reason to think that Michigan won't be the choice, since that's his recently stated leader, but there are factors working against the Wolverines. SI's Andy Staples talks about Denard Robinson's attempt to make it to the NFL at the receiver position. Jim Harbaugh played a long time ago, and I don't have any memories of his time at U of M. People tell me he was fairly good. What I do remember are the disparaging remarks that he made about Michigan academics right around the time I began packing my bags for Ann Arbor. Those comments did not endear him to me. 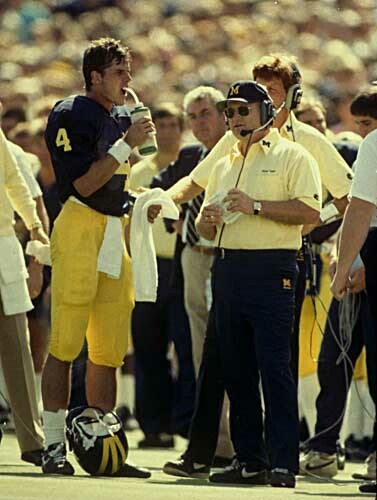 But regardless of anyone's feelings toward Harbaugh, he is a second generation Michigan Man and a former three-year starting quarterback who had a "special relationship"* with Bo Schembechler. Harbaugh's Michigan roots run deep, and his experience as a Wolverine can arguably be called the single most important factor in his development as a coach. And everyone agrees that Harbaugh is a good coach. After defeating the Atlanta Falcons, 27-24, in the NFC Championship Game, Harbaugh and his 49ers open as 4.5 point favorites against the Baltimore Ravens in Super Bowl XLVII. Honorable mention: Center Jonathan Goodwin anchored a 49er offensive line that paved the way for 149 rushing yards while giving up only one sack. Goodwin already has one Super Bowl ring as a member of the New Orleans Saints. CBS Sports takes a look at the Super Bowl's projected starters through the lens of their star ratings coming out of high school. Ray Lewis doesn't have a star rating, because before 2002, they rated people with symbols of daggers. Projection: Tight end. Weishar is a little bit stiff to split out wide in college, so he likely projects to Michigan's Y-receiver spot rather than U-back. He would obviously need to add some weight, and he would presumably require some technique work since he doesn't play in a three-point stance. He doesn't show the athleticism to be a huge matchup problem, but he has the hands and size to be an effective receiver in the middle of the field. He has the look of a future BCS-quality starter and could even develop into an all-conference player in the right system. Chantel Jennings interviews freshman offensive guard Kyle Bosch. Rivals released its final top 250 players for the class of 2013. The top 100 was released yesterday: Here's what the top 250 looked like on December 4. Floyd attended Greenville (SC) J.L. Mann. Throughout his career, he made 139 tackles and 13 interceptions, along with 127 catches for 2,208 yards and 16 interceptions. 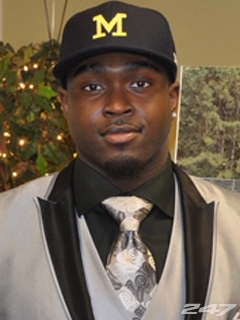 He committed to Rich Rodriguez on January 31, 2008, over offers from Georgia Tech, Maryland, North Carolina, North Carolina State, South Carolina, and Tennessee. He was a Rivals 3-star athlete and a Scout 3-star/#75 safety. Floyd redshirted as a freshman in 2008. As a redshirt freshman in 2009, he started two games and made 17 tackles and 1 pass breakup. 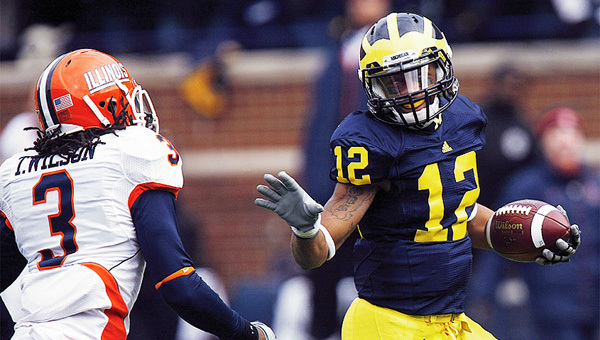 In part because of attrition at the cornerback position, Floyd started nine games in 2010, making 66 tackles, 2 tackles for loss, 1 interception, 1 forced fumble, and 4 pass breakups; he broke his ankle in practice prior to the Illinois game and missed the final four games of the year. As a redshirt junior in 2011, he returned from injury to start twelve games at boundary corner, making 48 tackles, 2 interceptions, 1 forced fumble, and 8 passes defensed. As a senior in 2012, he started the twelve regular season games and tallied 48 tackles, 1 tackle for loss, and 5 pass breakups; he was suspended for the Outback Bowl against South Carolina. It's no secret that I was never a fan of Floyd's abilities, and that started at the time he was recruited. His lack of speed and change-of-direction ability always made me think he would be best suited for free safety, but there was never really an opportunity to bench Floyd. Unfortunately, due to attrition and poor recruiting, he was always the best option to start. Unlike when I was calling for Vincent Smith to give up carries to Michael Shaw, Michael Cox, and Fitzgerald Toussaint, the guys behind Floyd were tiny, inexperienced, and/or just not very good. Floyd turned into a three-year starter at the position and got a couple of all-conference honorable mentions out of the deal, which was perhaps the best we could hope for from a guy with his limited physical capabilities.
. . . getting suspended for the Outback Bowl. I find it inexcusable that he was silly enough to get suspended (allegedly for smoking marijuana) for his final college game, and it very well might have been the key reason that Michigan lost a close game to South Carolina. Floyd was already a borderline NFL prospect, likely to get a shot as an undrafted free agent simply because he started three years at a school like Michigan. His on-field production and testing numbers likely won't garner much attention, but he could latch on as a practice squad player. The suspension thing can't help, but that type of thing isn't a death sentence for an NFL career. 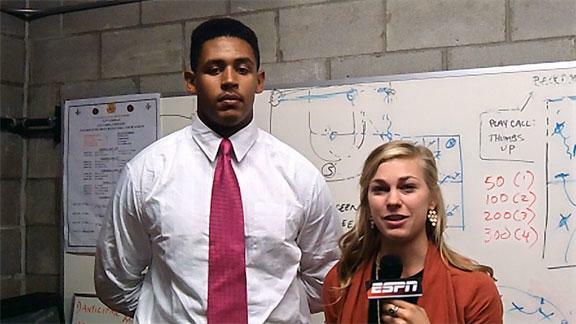 Chantel Jennings interviews freshman defensive end Taco Charlton. 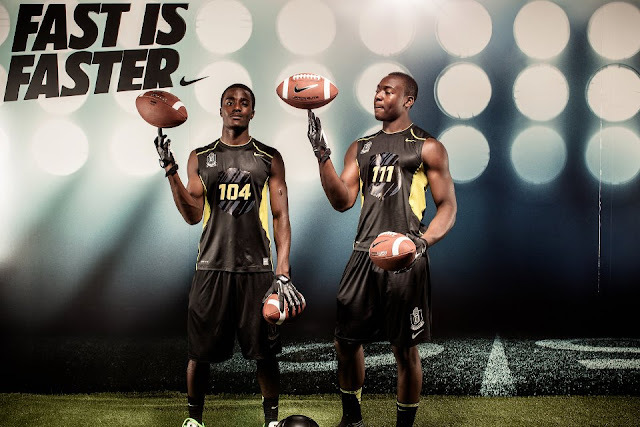 Rivals finalized its rankings of the top 100 players for the class of 2013. Here's what it looked like in December. 88. 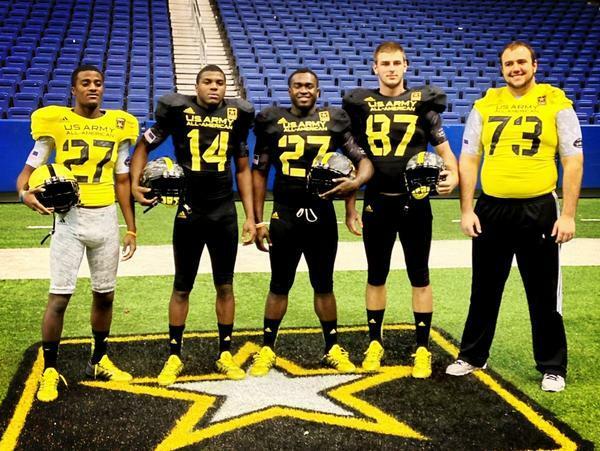 Yannick Ngakoue - LB - Washington, D.C.
Trotwood (OH) Trotwood-Madison cornerback Reon Dawson committed to Michigan. Cordova (TN) St. Benedict running back Jordan Wilkins decommitted from Auburn. He is now considering Arkansas, Ole Miss, and Vanderbilt. While Michigan was on his list early in the process, he has expressed reservations about playing in the cold. 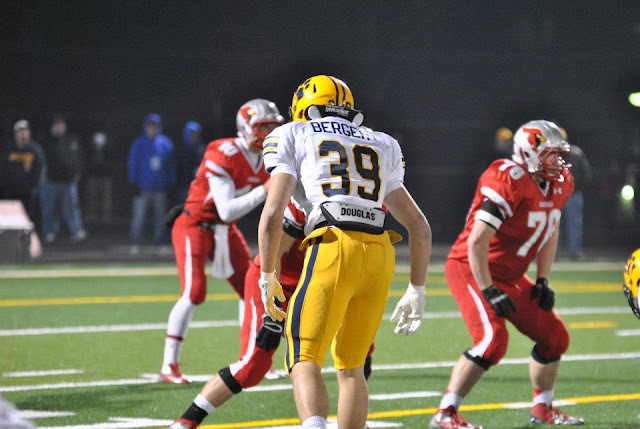 Cleveland (OH) St. Ignatius linebacker Kyle Berger was offered by Michigan. Berger is a 6'3", 205 lb. prospect with offers from Michigan State, Ohio State, Penn State, and West Virginia, among others; Ohio State appears to be his current leader. He current plays outside linebacker in a 3-4 defense, and he looks like a SAM linebacker. As a junior in 2012, he had 44 tackles for loss and 10 sacks. 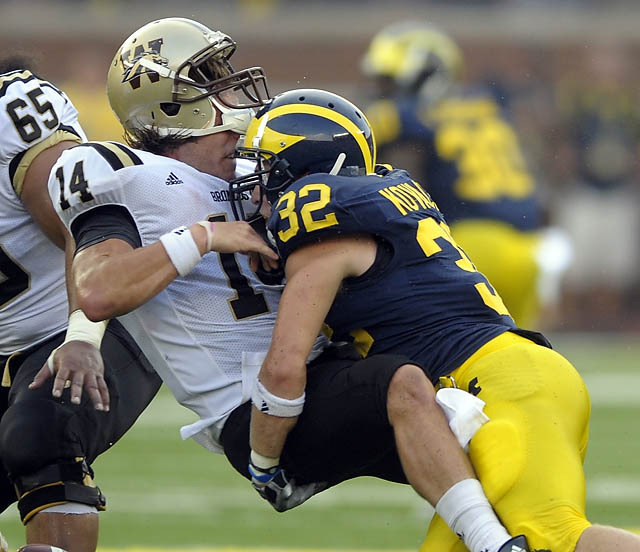 St. Ignatius is the alma mater of Michigan linebacker Jake Ryan. Chatham (IL) Glenwood tight end Daniel Helm was offered by Michigan. He's a 6'5", 220-pounder whose only other offer comes from Illinois. 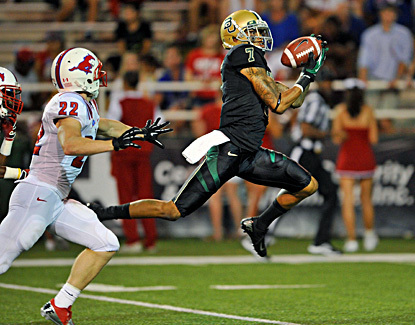 As a junior in 2012, he had 44 catches for 821 yards and 17 touchdowns. Based on his film, I'm surprised he doesn't have more offers. I doubt John Beilein is interested in getting him on the basketball team, though. Peoria (IL) Peoria defensive tackle Josh Augusta committed to Missouri. It's unclear whether Augusta ever held an actual offer from the Wolverines, but one site (Rivals) listed him, so I include him. He's the cross-town rival of Michigan offensive tackle commit Logan Tuley-Tillman, but it looks like their personal rivalry will end now that Augusta is SEC-bound. Philadelphia (PA) West Catholic offensive tackle Jaryd Jones-Smith committed to Pitt. The 6'7", 300-pounder is considered to be quite a project, but his size and athleticism make him a nice developmental prospect for the Panthers. Crete (IL) Crete-Monee wide receiver LaQuon Treadwell committed to Ole Miss. At one time Michigan was his leader, but he kept holding off on committing. Anytime a player has a stated leader but won't commit for a long time, that's a bit of a red flag. Treadwell joins former class of 2012 teammate Anthony Standifer, a cornerback who was committed to Michigan at one time; Standifer redshirted this season. Here's a Jadeveon Clowney feature, just in case you haven't seen enough of this guy in recent weeks. Hawthorne was a 3-star to both major sites, and was similarly rated by both Rivals and Scout - the #35 and #33 outside linebacker, respectively. He committed to Rich Rodriguez on August 29, 2008. Hawthorne attended Pahokee (FL) Pahokee, a teammate of fellow future Wolverines Vincent Smith and Richard Ash. He made 200 tackles, 76 tackles for loss, 42 sacks, 6 forced fumbles, and 5 fumble recoveries throughout his high school career. Hawthorne enrolled early in January 2009 and proceeded to burn his redshirt for four games of special teams action, during which he accrued no statistics. Hawthorne was a third string outside linebacker during his sophomore season in 2010, when he made 1 tackle against Bowling Green. During his junior season in 2011, Hawthorne worked his way up the depth chart; there was a pretty good three-way battle between Hawthorne, senior Brandon Herron (who got hurt immediately), and freshman Desmond Morgan (who eventually won the job). Hawthorne still managed to start five games before getting benched, making 43 tackles, 3 tackles for loss, 1 sack, and 1 interception throughout the year. He had a pretty poor effort against Michigan State, though, which seemed to be the final nail in the coffin. Despite a strong spring game effort in 2012, defensive coordinator Greg Mattison openly criticized his physicality; he was mostly limited to special teams as a senior and got himself buried on the bench at inside linebacker, playing just one game on defense. His final campaign consisted of of just 19 tackles and concluded with a suspension for his final college game, the Outback Bowl against South Carolina.
. . . making a "highlight reel" one-handed interception in the 2012 spring game. It flashed his athletic potential while hinting at what could have been. I wasn't very high on Hawthorne when he was coming out of high school, and he was one of those guys whose homeland - he's from Florida! 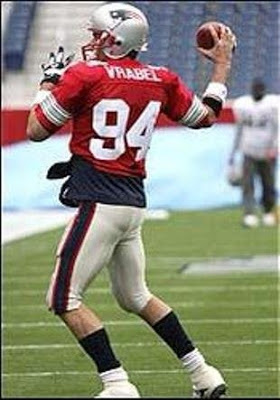 - seemed to define his recruitment more than his football prowess. Sure, he made lots of tackles in high school, but he didn't explode off the screen in those highlights. Furthermore, Rodriguez recruited him as a "box safety" for the 3-3-5 when he seemed too slow to play safety and too small to play linebacker. He eventually grew to 220 lbs., which is small-ish for a linebacker. Ian Gold was about that size, but he was a better athlete; Larry Foote was about that size, but he was more physical. But Hawthorne flashed the potential to at least be a situational player, because he was quick enough to get around the occasional offensive lineman or speed to his pass drops. Ultimately, he just wasn't consistent enough, and the final straw for me was when he had a chance to wrap up Michigan State's Keshawn Martin in the 2011 loss, and he just gave Martin a halfhearted shove, which allowed a touchdown. Players might loaf once in a while, but on a goal line play where he could save a touchdown? There's no excuse for that. Still, Hawthorne had the right set of skills to be an effective special teamer, and he was that . . . until the Outback Bowl suspension. I can only wonder how the outcome may have been different if it was Hawthorne trying to tackle Ace Sanders on that 63-yard punt return touchdown, instead of freshman fullback Sione Houma. It seems to have been a career of missed opportunities for Hawthorne. Hawthorne's failure to nail down a starting job, his off-the-field issues, his lack of size, and his so-so athletic skills indicate that he will not make it in the NFL. I would be slightly surprised if he even signed somewhere as an undrafted free agent, but stranger things have probably happened. It was fun to watch Alabama eviscerate Notre Dame on national television, but I sure hope Alabama starts their inevitable downslide sometime soon. The first annual (does that make any sense?) Raycom College Football All-Star Classic will take place this afternoon, and several players will be participating who might be of interest to Michigan fans, including wide receiver Roy Roundtree. Cissoko (#33) have both left the program, but Thomas Gordon (#15) now starts at safety. This isn't quite as timely as it could have been, since the Broncos lost to the Ravens last Saturday, but Chris Brown details one of Peyton Manning's favorite passing plays. Is this Manti Te'o's girlfriend? Here's the awesome Deadspin article that reveals that Manti Te'o's girlfriend was totally non-existent and, on the bright side, not dead at all. Or is this Manti Te'o's girlfriend? And here's MGoBlog's entertaining response to the news about Te'o. As a man who isn't a total idiot, I don't believe there is any possible way that Te'o wasn't involved with the hoax. Maybe he was originally duped, but he would have found out that his "dying girlfriend" was just a Hawaiian dude with a strange hobby. 1. Shane Morris - QB - Warren (MI) De La Salle: Committed to Michigan. 2. David Dawson - OG - Detroit (MI) Cass Tech: Committed to Michigan. 3. Steve Elmer - OT - Midland (MI) Midland: Committed to Notre Dame. 4. Jourdan Lewis - CB - Detroit (MI) Cass Tech: Committed to Michigan. 5. Jon Reschke - LB - Birmingham (MI) Brother Rice: Committed to Michigan State. 6. Wyatt Shallman - RB - Novi (MI) Catholic Central: Committed to Michigan. 7. Cameron Dillard - OG - Plymouth (MI) Canton: Committed to Florida. 8. Gerald Holmes - RB - Flint (MI) Carman-Ainsworth: Committed to Michigan State. 9. Delano Hill - CB - Detroit (MI) Cass Tech: Committed to Michigan. 10. Khalid Hill - TE - Detroit (MI) East English Village: Committed to Michigan. 11. Da'Mario Jones - WR - Westland (MI) John Glenn: Committed to Michigan. 12. Dennis Finley - OT - Detroit (MI) Cass Tech: Committed to Michigan State. 13. Csont'e York - WR - Harper Woods (MI) Chandler Park: Committed to Michigan. 14. Kenton Gibbs - DT - Detroit (MI) Cass Tech: Uncommitted. 15. Luke Maclean - LB - Grand Blanc (MI) Grand Blanc: Committed to Pitt. So Michigan has 8 of the top 15 players in the state for the class of 2013, in addition to 8 of the 15 from last year. The third annual Casino Del Sol College All-Star Game took place last Friday, and there were a handful of players participating who might be of interest to Michigan fans. The West squad won by a score of 40-7. A Michigan Man now holds the NFL record for most playoff wins by a starting quarterback. The 41-28 Brady-led victory over the Texans on Sunday earns him a 17th playoff victory and a #1 spot in the record books directly above Joe Montana. Brady's three touchdown, 344-yard performance also elevates him to third place for most touchdowns thrown in the playoffs and extends his streak of consecutive games with a touchdown pass to 48. Only Drew Brees has more (54). Brady's work is not yet finished this year, of course, as he and the Patriots are scheduled to take on the Baltimore Ravens in the AFC Championship game this weekend. Zoltan Mesko booted two 60-plus yard punts. Jonathan Goodwin helped pave the way for 323 rushing yards and a 49er win, and in his second year in the league, Coach Jim Harbaugh leads his team to the Conference Championship Game. Charles Woodson and Alan Branch end their seasons as the Packers and Seahawks lose in the Divisional Round. Phil Steel is a special contributor to ESPN for this piece, where he writes that Michigan - along with four other teams - should improve next season. Oregon head coach Chip Kelly will now be coaching another mostly green team with wings on its helmets, the Philadelphia Eagles. Chances are slim that Michigan might benefit from this turn of events, but it's worth taking a look anyway. Oregon is expected to promote offensive coordinator Mark Helfrich to head coach, so the program won't change much, and I wouldn't expect mass defections. Projection: Wide receiver. It's tough to find weaknesses in Holmes's game. He's not the biggest, fastest, or most explosive receiver, but he's very polished and looks like he's already prepared for college. He'll need to add some size to deal with the pounding that comes with playing major college football, but Holmes should be able to contribute early wherever he plays.